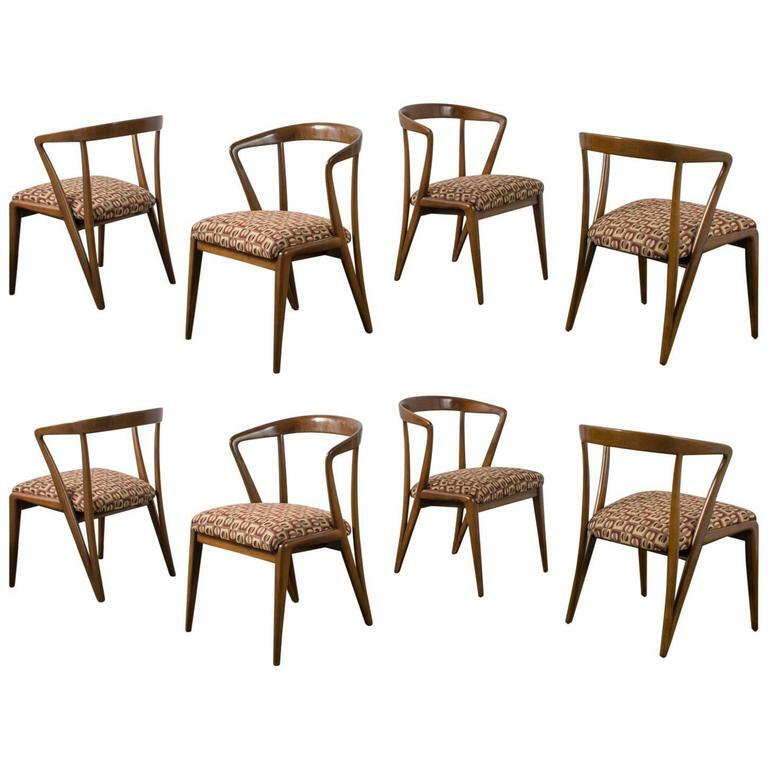 We recently acquired a set of eight unique dining chairs from a collector that sparked our interest in the designer, Bertha Schaefer. 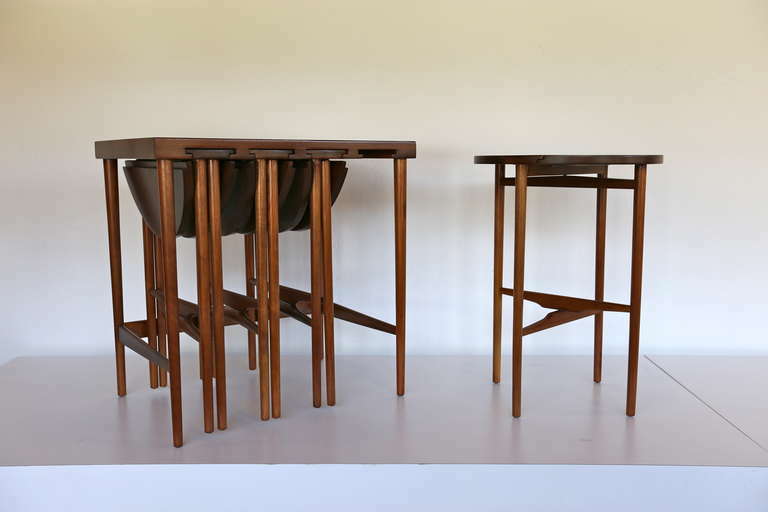 Carlos and I are both impressed with her sculptural dining chairs, desks, and tables; and I, as a woman, am always curious about Mid-20th Century female designers. After digging deeper, we learned that Bertha Schaefer was not only a furniture designer, but also an interior designer, art gallerist, and innovator. Bertha Schaefer (American, 1895-1971) was born in Mississippi and later moved to New York where she got her diploma in interior design at Parsons School of Design. She opened Bertha Schaefer Interiors in 1924 and Bertha Schaefer Gallery of Contemporary Art in 1944, both in New York City. Bertha Schaefer Interiors designed furniture and interiors for private residences, hotels, restaurants, and also projects such as the interior of the Temple Washington Hebrew Congregation (1954). Her art gallery launched the careers of many American and European painters and sculptors and also featured American furniture design. Schaefer, a proponent of the Bauhaus Movement, believed that economical design should possess both craftsmanship and beauty, and in 1947-1948, she curated a series of exhibits called “The Modern House Comes Alive”, which expressed this vision. Schaefer also believed in functional and economical lighting and was using decorative interior fluorescent lighting in her designs as early as 1939. 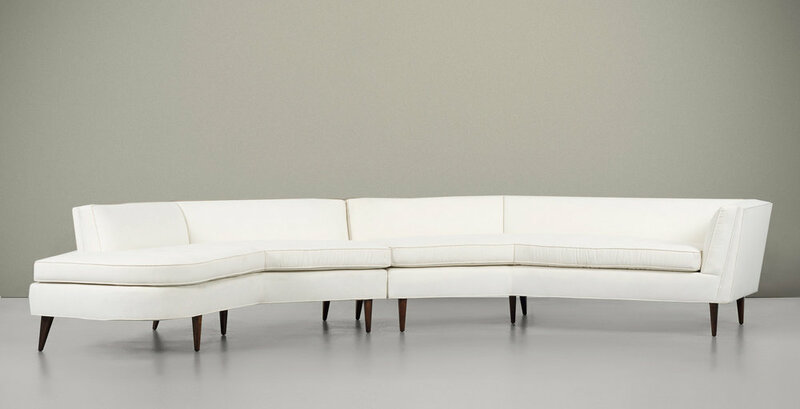 From 1950-1961, Schaefer designed furniture for Joe Singer of Singer & Sons, who was intrigued by her innovative design and her ability to mix the fine arts with the commercial arts. Singer & Sons introduced many Italian designers, such as Gio Ponti, Carlo Mollino, and Ico Parisi, to the American market. In 1951, fifteen of Bertha Schaefer’s designs were debuted along with twenty-one pieces by Italian designers in a week-long trade show in a showroom that was designed by Schaefer and Richard Kelly, a well known lighting designer. Schaefer’s ideas and contributions to American Mid-Century design were well recognized, and she received many invitations to participate in discussions and design juries sponsored by museums and universities. She won design awards from the Museum of Modern Art in 1952 and the Decorator’s Club of New York in 1959, where she served as president from 1947-1948 and 1955-1957.